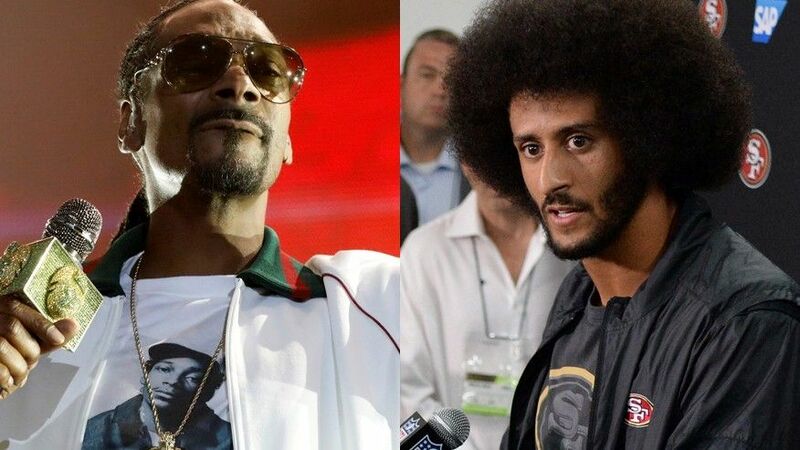 Snoop Dogg just put Colin Kaepernick in his dog house, calling the San Francisco 49ers quarterback a hypocrite for protesting social injustice while praising late Cuban dictator Fidel Castro, and advising he choose between football and his ongoing National Anthem protest. "He's sort of kind of hypocritical in so many words because he's pushing this, but at the same time he’s giving credit for this and this is the same abuse that [Cubans] been taking" the rapper said. Snoop Dogg added, "So it makes you hypocritical to be able to speak on this topic and that topic." The "Lay Low" singer was referring to Kaepernick's recent comments about Castro at a media event ahead of the 49ers game against the Miami Dolphins on Sunday.